Yarn -Red Heart Super Saver Yarn (A) Light Blue, (B) Black, (C) Carrot, (D) Spring Green, (E) Warm Brown, black crochet thread for the mouth and eyebrows. 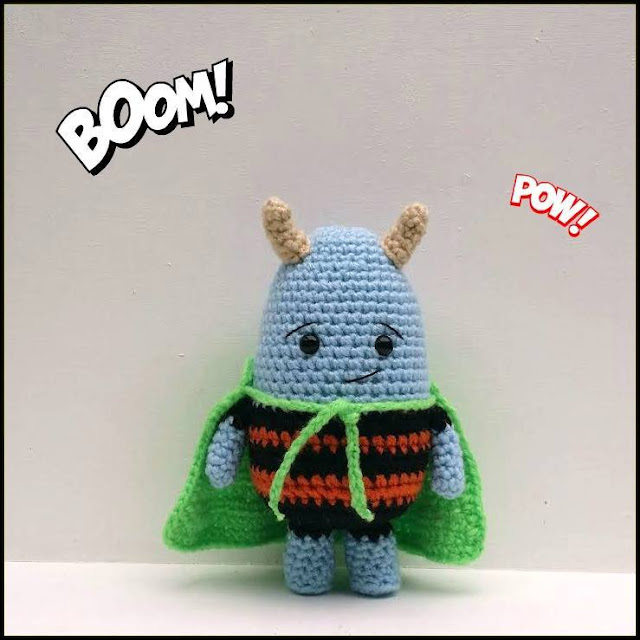 Row 1: Insert your hook into the top right hand corner of your cape, pull up loop of yarn and ch x 30, fo. Repeat in the left hand corner. Stuff the legs of your alien firmly, and sew them onto your alien. Sew the arms onto your alien around Rnd 20. Sew the horns onto your alien. Then sew on a mouth and eyebrows. Tie a knot on the end of each cape strap, then trim it. 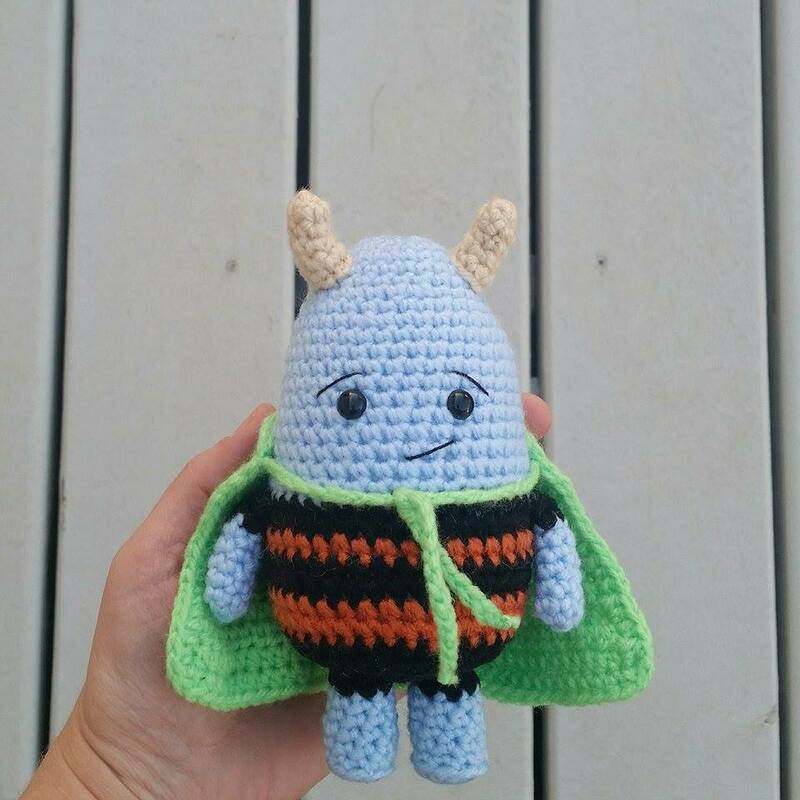 You’re all done, now you have a new little alien friend! This is such a fun and cute creation...Thanks! !